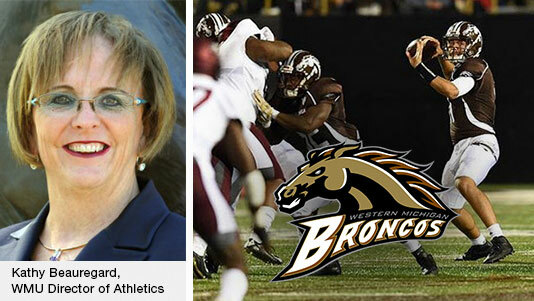 Of all the responsibilities she has as athletics director for Western Michigan University, one thing Kathy Beauregard doesn’t worry about is the transportation of her teams to their games. She’s happy to leave that to us. Beauregard began her career with the WMU Broncos in 1979 as a gymnastics coach. This year marks her 21st as athletic director. She is the longest serving AD in the Mid-American Conference, and just one of eight women ADs in the 128-team Division I Football Bowl Subdivision. Since she’s been at the helm, WMU has won 29 conference championships. As part of her responsibilities, Beauregard and her staff worked with the university years back when it decided to bid out transportation services for athletic teams, rather than deal with the maintenance and staffing headaches of running a fleet of buses. Among the factors that led to the choice of Indian Trails, she notes, were our reputation for safety and large fleet of up-to-date motorcoaches. 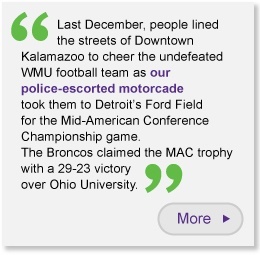 Bronco team members, coaches and staff also like the amenities available on our motorcoaches, such as WiFi. “It’s important for our student athletes to be able to do their homework while they’re traveling,” she says. Beauregard wants to ensure that the 300-400 student athletes on her watch succeed academically, as well as in their sports. In fact, as a group, they’ve posted a combined overall GPA above 3.00 for 18 consecutive semesters. One amenity that Bronco coaches particularly like is the ability to play game film aboard the bus using its DVD system. “They can breakdown the film for players while everything is still fresh in their minds,” says Beauregard. Since Indian Trails also provides drivers and buses for Bronco Transit—the weekday WMU campus transportation service—student athletes also appreciate finding familiar drivers behind the wheel when they’re moving between classes, says Beauregard. Indian Trails is rolling out four new deluxe mid-size coaches for charter customers—and they’re already being booked for the coming year by high school sports teams, university groups, and corporations. The new 34-passenger Temsa coaches represent an investment of more than $1 million in keeping our fleet of motorcoaches one of the newest and largest in Michigan. That’s important for the comfort and safety of passengers. Each of these touring coaches has a stainless steel body, abundant luggage space, and comes equipped with engine technology that’s fuel efficient and kind to the environment. They’re capable of traveling about 760 miles on a single tank of fuel. Safety features include antilock brakes, automatic traction control, GPS tracking, three-point seatbelts for each passenger, driver intercom system, emergency side and roof exits, first aid kit, fire extinguishers, and an engine fire-suppression system. Among the comfort features are high-quality heating and air conditioning, reclining seats with arm and head rests; ample leg room; individual overhead lighting and climate controls; tinted side windows; 110-volt AC outlets and USB ports at each seat for charging mobile devices; free WiFi; DVD player with flat-screen monitors; spacious on-board lavatory; overhead parcel racks; and a front-kneeling suspension that lowers the coach to help passengers get on or off. Besides group charters, Indian Trails also offers daily scheduled runs throughout Michigan and beyond. We’re delighted to announce that two more of our route drivers have become members of a very elite club. 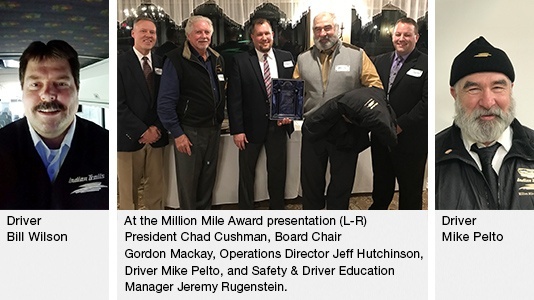 Mike Pelto and Bill Wilson have joined 27 other Indian Trails drivers as recipients of our “Million Mile Award” for going the distance without an avoidable accident. It’s an award program we began in the late 1980s. Pelto and Wilson both achieved their records in 10 years. Both joined Indian Trails in 2007, operating scheduled routes in Michigan’s Upper Peninsula. Wilson’s starts at St. Ignace and takes him to Milwaukee, Wis., and back again with stops along the way. Pelto begins his route in Houghton/Hancock, then heads to Duluth, Minn., and back. Hitting the million-mile mark is even more noteworthy considering the special challenges they face. Pelto was a school bus driver when he answered an Indian Trails want ad for drivers. A native of Hancock, he grew up in Calumet and is accustomed to its weather and roads. He enjoys his route, driving at night, the regular passengers he ferries to their destinations, and the new ones he gets to meet. A native of Onaway, MI, Wilson is also accustomed to life in northern Michigan. Like Pelto, he works six days on and three days off, and enjoys hunting and fishing during his down time. Both also enjoy working for a “family” company (Indian Trails has been family-owned since it was founded in 1910). 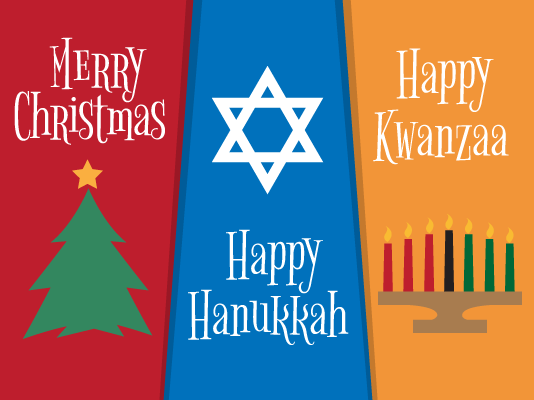 From all of us at Indian Trails, we wish you and yours the happiest of holidays, a healthy, prosperous New Year, and safe travels always!